Life happens. No matter how hard we try, we cannot plan for the unexpected. That’s why you get home, auto, life, and, of course, jewelry insurance. It’s your safety net so that if something happens, you can fix it and forget it. But how exactly do you file a jewelry insurance claim? What do you need to do? If you're with Jewelers Mutual, follow the four simple steps below. Tell us. Submit your claim online or call 888-884-2424 if you’d rather speak with a person. They will take your initial information and a claims representative will follow up to collect more details and walk you through the claims process. We will ask you to provide the name of your preferred jeweler. If you don’t have a preference, we encourage you to select the jeweler who sold the item. After all, they know it best! Head to your jeweler. 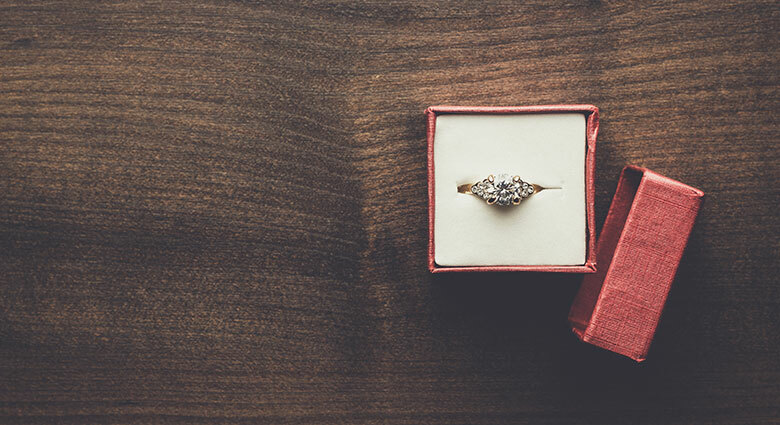 Our claims representative will notify you when it’s time to make an appointment with your selected jeweler to have your item repaired or replaced. If the exact match for replacement is not available, we will have the jeweler find a piece and/or stone that is the same kind and quality of what you originally had. To ensure your satisfaction, you must approve all repairs or replacements prior to the jeweler completing the work. It is common for traditional insurance companies to require multiple estimates from various jewelers before covering a repair or replacement cost. Jewelers Mutual does not require more than one estimate. Your trusted jeweler will be the one we work with, period. Something shinier catch your eye at the jeweler? You have the ability to upgrade your insured jewelry item. For example, you lose your 1 carat diamond and, instead of replacing with the exact kind, you want to upgrade to a 1.5 carat. No problem. The jeweler will invoice us the cost to replace what you had, and you pay the difference directly to the jeweler. Be sure to send us an updated description or appraisal so your new, shinier bling is fully covered. Pay your jeweler … if you have to. Once you are satisfied with your repair or replaced item, you pay your deductible amount to the jeweler and the jeweler bills us for the remaining balance (up to the limit you insured the item for). If you have a $0 deductible, you pay nothing. Zilch. Zip. Nada. Wear without worry … again! Feel comfortable to wear your repaired or replaced jewelry no matter where your travels take you. Be sure to let us know you want to re-insure your new piece, and submit a new appraisal or description so that you are fully covered for its new value. Take comfort in knowing you can expect a fast, professional, compassionate repair or replacement experience during what could be a stressful time. More than 95% of responding Jewelers Mutual policyholders said they are “highly satisﬁed” with their claims experience and the outcome. Just like Ann, Amy, and Jay. We know losing or damaging a piece of jewelry can be heartbreaking. Please know if the time ever does come to file a claim, we’ll be here, ready to guide you every step of the way. Editor's Note: This post was originally published November 5, 2015 and has been updated for accuracy and to reflect claims process improvements.